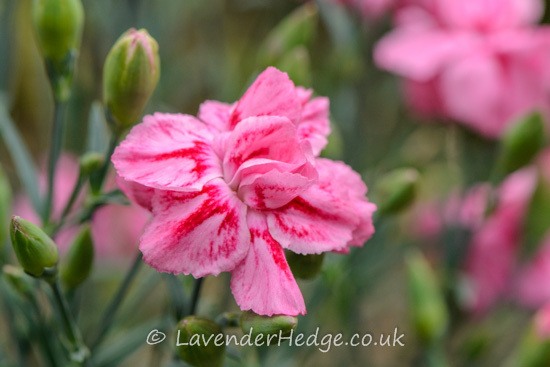 I love this Dianthus as it produces masses of flowers over a long period. The foliage is an attractive blue-grey colour and forms a neat, compact plant. Needs very little attention, but I have cut off the spent flowers, in order to encourage it to repeat flower.